Ok readers, don’t say I never gave you nuttin’. 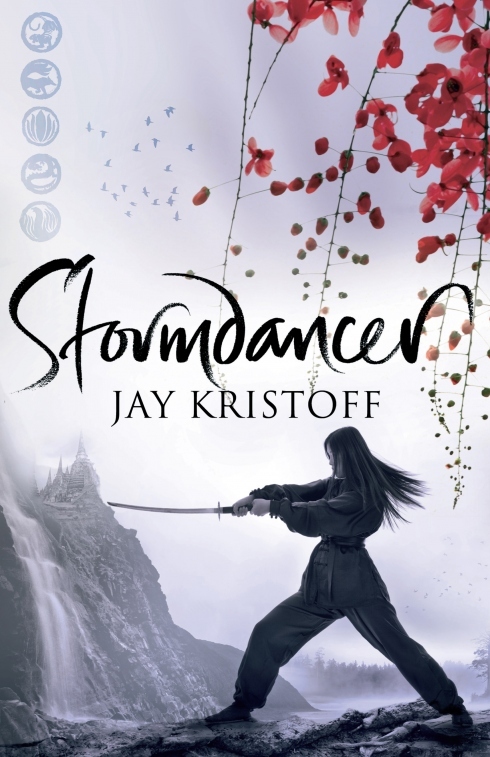 Get ready for the awesome Japan-esque Steampunkian (steampunk-meets-feudal Japan) goodness with the September 18th release of the long awaited novel STORMDANCER by new author Jay Kristoff (http://www.jaykristoff.com). Quickly, mark your calendars! The bond between a young girl and a griffin is threatened by a dangerous regime in a world where rules aren’t made to be broken. STORMDANCER promises to be a thrilling adventure worth the wait. I’m so eager to get my hands on this book, I’ve already secured my order at the local bookstore. In the meantime while the world waits, feast your eyes on both gorgeous cover photos Kristoff and his publisher TOR have so generously revealed. The US & UK covers are professionally rendered by Jason Chan (US) and Neil Lang (UK). Click on the name and be transported to the respective website. Yes you can thank me later. The Shima Imperium verges on collapse. The land has been poisoned by clockwork industrialisation, the Lotus Guild’s machine worshippers oppress the people, and the Shōgun cares for power more than the country he rules. Griffins are supposed to be extinct. So when Yukiko and her warrior father are ordered to hunt down a ‘thunder-tiger’ for the Shōgun, they fear their lives are over. Failure is not an option. During the hunt, Yukiko is stranded in the wilderness and encounters the griffin, furious and crippled from their savage pursuit. Although she can hear his thoughts, and saved his life, Yukiko knows he’d rather see her dead than help her. And discovery of the talent allowing them to communicate would mean her execution. But together, the pair will form an indomitable bond, and rise to challenge the might of an empire. Huh! huh!! HUH!!! What’d I tell ya. 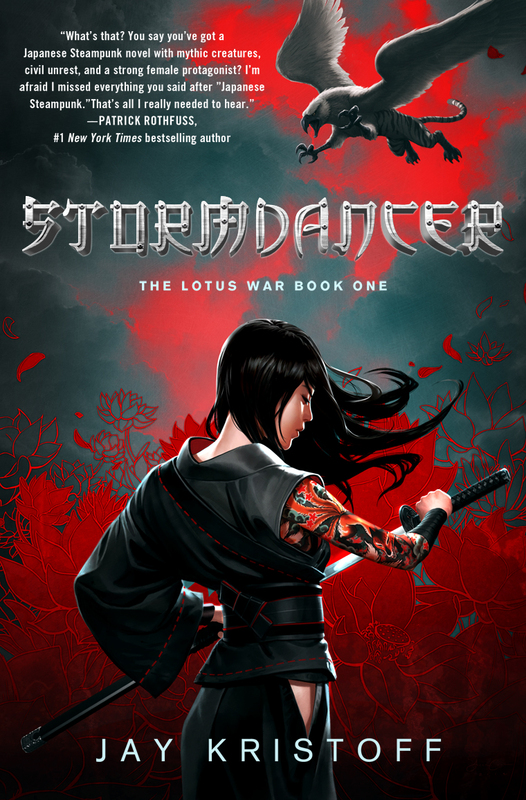 Run, don’t walk, to the nearest bookstore and place your order for STORMDANCER naow! *bow* and *flourish* You’re welcome. You can follow Jay Kristoff on twitter @misterkristoff. This entry was posted in Books, new release and tagged FANTASY, Japan, steampunk. Bookmark the permalink.